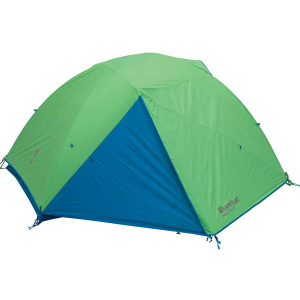 Light, compact, durable, and a cinch to set up, the weather-resisting Eureka 2-Person 3-Season Midori 2 Tent makes the perfect low-maintenance backpacking companion. Pitch this free-standing tent in a flash when the sun is dipping below the horizon and the clouds blow in. With ample space for two people and a vestibule for gear, plus tons of scenery-revealing mesh, this strong home away from home will keep you comfy, dry, and cozy when feeding your wanderlust.